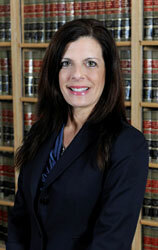 LAURA A. FERRUGIARI received her Juris Doctor Degree from Hofstra University School of Law in 1994 and her B.A. from Colgate University in 1989, where she studied Political Science and Russian Language. She was Notes and Comments Editor of the Hofstra Labor Law Journal, assisting in the creation and development of topics for future inclusion into the Journal. She is admitted to practice in the State Courts of New York, Federal Court in the Eastern District of New York as well as the Second Circuit Court of Appeals. She began working at our firm in November, 1993. Laura became a partner in the firm in January 2005. Laura handles a large number of special education matters, including impartial hearings and appeals, and attends Section 504 and CSE meetings, student discipline and manifestation determination hearings. Laura has successfully handled numerous employee discipline cases, and discrimination cases before the Office for Civil Rights, State Division of Human Rights and the Equal Employment Opportunity Commission, has handled special education trials in Federal District Court and has successfully defended numerous appeals to the Commissioner of Education, the SRO, the Appellate Division, Second Department, and the Second Circuit Court of Appeals. For the past 15 years, Laura has supervised all of our clients’ budget votes and school board elections. 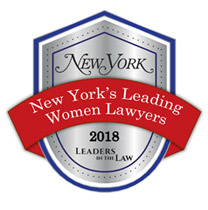 Laura has also been featured this year in New York Magazine’s “New York Women Leaders in the Law” 2016. Laura has co-authored with associate, Joe Lilly, an article published in the Nassau Lawyer, the Nassau County Bar Association monthly newsletter, entitled “Executive Sessions and the Open Meetings Law” (November 2014). Additionally, Laura has co-authored with associate, Timothy Mahoney, a number of articles published in the Nassau Lawyer including “Transgender Students in Schools: a Shifting Spectrum of Gender, Identity, Biology, and Expression” (August 2016) and “Permissible Drug Use: The Administration of Medication in the School Setting” (April 2016).